Bulk discounts are common everywhere: buy 3 get 5% off, buy 2 get one free and so on. Now you can offer these kinds of discounts on your RiderHQ entries as well. 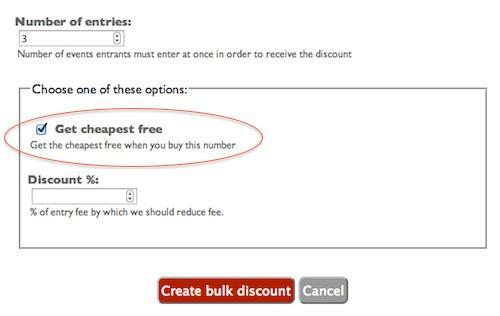 Before we go into how to set up bulk discounts, it's worth mentioning that we also offer a Voucher/invite system for when you want to offer some people a special price with a code (for example guest entrants), and also a 'bundle discount' for when you want to offer people the chance to enter multiple events in one transaction (perhaps enter an entire series for a discounted price). 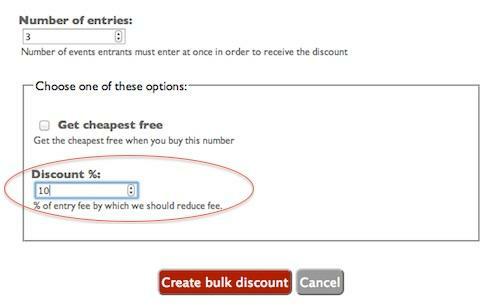 Bulk discounts are when you want to offer entrants an incentive to buy more entries, or a reward for doing so. The discounts automatically apply across all your events and entry lists. We'll also mark who entered with a discount on your payments reports.